At Integrity Dental, we treat our patients like royalty, but dental crowns don’t really have a lot to do with our exceptional dentistry services. 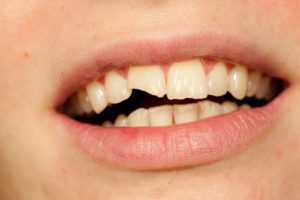 Actually, a dental crown is a restoration that fits completely over the top of a damaged tooth to replace lost structure, restore complete function, and protect the tooth from additional damage or decay. Our Farmington dentist and team are dedicated to providing conservative dental care, so we’ll use a treatment that maintains the greatest amount of tooth structure while fully repairing damage. Simply put, we only recommend a dental crown when more conservative options like fillings will not be effective in repairing dental damage. There’s only one way for you to know for sure you need a dental crown – call our team! We’ll schedule a consultation as quickly as possible to get started repairing your smile to full form, function, and beauty. Dental crowns are placed over the course of two treatment visits. When possible, we’ll combine your first procedure appointment with your consultation. That way, you will have your smile repaired more quickly. The initial visit is the longest of the two treatment appointments. The process begins by numbing the area around the tooth. Then, we prepare the tooth and capture bite impressions. These impressions are sent to the dental lab where a custom dental crown will be crafted. To protect the prepared tooth, we need to place a temporary dental crown. Once your temporary is in place, you can return home until we receive your custom crown. One of our team members will contact you to schedule an appointment as soon as the custom restoration arrives in our Farmington dental office. The second visit is very short. We exchange the temporary for your flawless custom dental crown. In most cases, we simply cement this new restoration in place, delivering a flawless smile. In rare cases, we may need to return the dental crown to our lab for adjustment, but this is not common.